Ampney Crucis gets its name from the river (Ampney Brook), a tributary of the Thames, and the church (Church of the Holy Cross). The Old English Amma's Stream is probably derived from the Latin Amnis – a stream. By 1086 the village was known by its Latin name of Omenie; by 1100 – Amenel; by 1215 - Ameney; and in 1287 Ameney Sancte Crucis. The modern name of Ampney Crucis seems to have been in use since 1535, however, one of our residents has a map of the area which has been authenticated as being produced circa 1632 which still shows the village as Holiroodeamney. We know the Romans were at Ampney Crucis – there is evidence of a settlement greater than 4 hectares in the village. In the 1780's some workmen who were digging up stone by the side of the London Road discovered an earthenware urn. It contained burnt bones, ashes and some Roman coins of the lower empire. The urn is now in the Ashmolean Museum in Oxford. At the time of The Domesday Book, Ampney Crucis was situated in the Garsdon Hundred. Holders of the land include Thurstan, son of Rolf; Tovi; Humphrey the Chamberlain; Alfwy; and Baldwin. Ampney Crucis Church of the Holy Rood has the rare dedication of the Holy Cross and is referred to in the Domesday Book (1086) as the Church of Omenie Holy Rood (rood being the Saxon for cross). Edward Daubeny, who lived in Ampney Crucis from 1829 was the brother of a famous naturalist, Professor Charles Daubeny FRS, FGS, FLS. Before coming to Ampney Crucis, Edward was a midshipman on H.M.S. Bellona and was wounded in the Battle of Copenhagen in 1801. Roger F Vaughan has written an article on Charles Daubeny. In 1844, Edward's daughter, Jane Daubeny, married an equally famous British Naturalist, Leonard Jenyns, about whom Roger Vaughan has also written. 9591 Private Francis Charles Day No 6 Platoon B Company 28th regiment, of Ampney Crucis, enlisted in the 1st Battalion Gloucestershire Regiment (28th) on the 3rd February 1912, aged 18 years. Here is his personal account with The British Expeditionary Force in 1914. Here is the touching story of the Browness family from Ottawa in Canada. They have traced their family back to Mary Brawnus, who arrived in Ampney Crucis from Oddington in 1784. Their web pages give a fascinating account of their story and are well worth a read. Mid-19th century, Ampney Park was occupied by the Blackwell family. Eardley Blackwell, on a trip to Norway, fell in love with a girl out there, married and settled down in Norway. 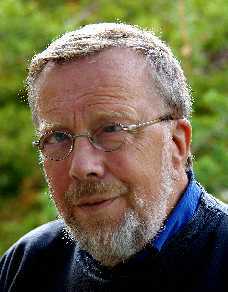 Ivar Teigum, a Norwegian historian, has been researching the background to Eardley Blackwell's life and has published his research on the following web site. Incidentally, Ivar would like to hear from anyone with an interest in this story – please use the email link below to make contact with him, or visit his website. Ivar has also compiled a very interesting history of the village which you can read here. David Vessey wrote a book celebrating events in Ampney Crucis to mark the Queen's Diamond Jubilee in 2012. It included an article about John Beresford which gave an account of his time in the RAF as a Spitfire pilot and subsequent years. It now includes a short update to celebrate the 100th birthday of John and the launch of the new Ampney Crucis village website in 2015.